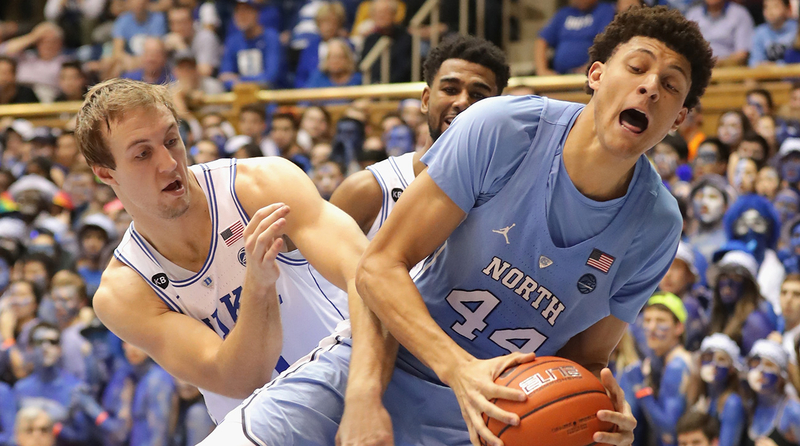 ACC Player of the Year Justin Jackson of North Carolina, right, fights for the ball with Duke’s Luke Kennard, who should have been the ACC Player of the Year. It’s only fitting that the ACC men’s basketball Player of the Year led his team into the conference tournament championship game on Saturday night. Of course, he didn’t officially win the award – in yet another example of fake news that mistakenly went to North Carolina’s Justin Jackson – but make no mistake: Duke’s Luke Kennard SHOULD have been the ACC Player of the Year. And it wasn’t really all that close. First of all, Kennard leads the ACC – the ACC – in scoring at 20.2 points per game. That in and of itself is a pretty strong argument but far from the only one in Kennard’s favor. Kennard outscored Jackson (18.1 ppg) by more than two points despite being on a talented offensive team with four other double-figure scorers, and his points came in remarkably efficient fashion as he shot 50 percent from the field (sixth in the league and first among guards) and 44.4 percent from the 3-point line (virtually tied for first). Kennard is also fifth in free throw percentage and fourth in 3s made per game. But there’s more to basketball than being an elite shooter and great scorer, and surely the 6-8 Jackson separated himself from Kennard in other ways to justify the vote. Except he didn’t. Despite having three inches on Kennard, Jackson also averaged fewer rebounds (5.3 to 4.6) and had fewer blocked shots (13-6) and fewer steaks (29-22). 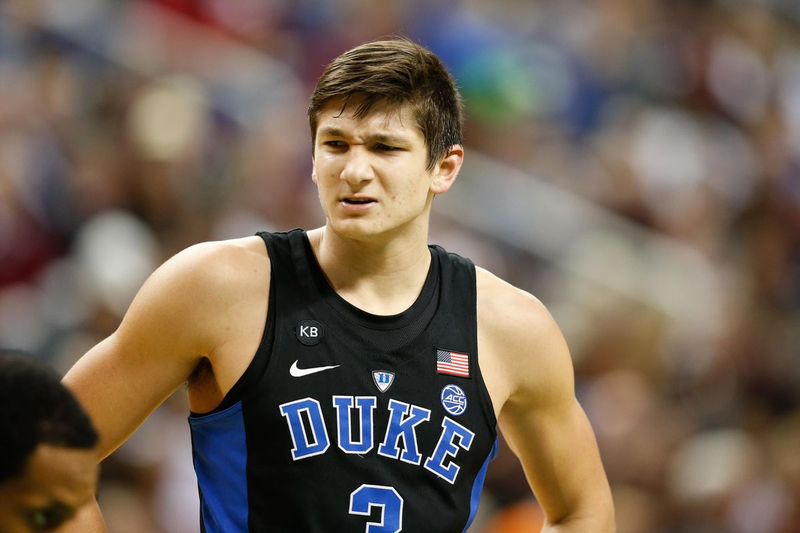 Trippy McTrippy Pants ponders why nobody likes him and how he’s suddenly Duke’s third-best player. OK, well, what about intangibles? Leadership? Grit? Well, one of the two played nearly 36 minutes a game, second in the conference, and was a critically consistent presence during a season in which his coach missed nearly a month, a teammate who was supposed to be the leader going into the season instead provided constant distraction with habitual tripping and general assholery, and the freshmen who were supposed to infuse the roster with talent were instead riddled with injuries and inconsistency. The differences in the two were in stark contrast as the Tar Heels collapsed on Friday. With Grayson Allen and Jayson Tatum red hot, Kennard was content to take only seven shots yet he still scored 20 points, primarily on 10 of 10 free throw shooting. He launched only two 3s, and made them both. Jackson, meanwhile, took more than three times as many shots (22) to score four fewer points. He went to the line twice, and as the game slipped away his increasingly wild gunning was a big reason why. To be clear, Jackson had a great season. His improvement as a shooter has been remarkable, and if Kennard weren’t in the mix he would be a deserving ACC Player of the Year. But Kennard is, and he isn’t.